St. Patrick’s Day has always been on the top of my list of favorite holidays. My family would have a big ole boiled dinner ( my mom is from a family of Sheehans) at my grandparents house. We’d eat, laugh, the adults (I was a a youngin) would drink and it was perfect! I’d always have to wear green, or my uncles would pinch the living hell out of me. Thankfully, if I forgot I went to catholic school and had a hideous plaid uniform with hints of green that I had to wear. Unless St. Patty’s day fell on a weekend or gym day, I had no back up plan then, so not forgetting green was a must. We don’t have those kind of St. Patty’s day celebrations anymore, as like in most families things change sometimes and we begin to create new memories. Including an almost 15 year tradition for me and my friends, which I’ll get to in my next post. Even with times a changin’, I have a love of the day and all things Irish. I mean really, have you heard those Irish accents…drool worthy. 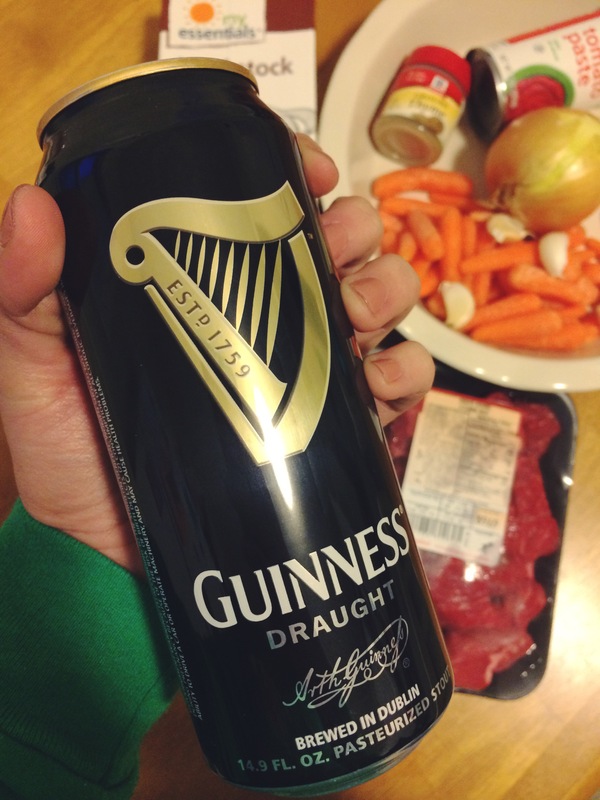 Besides boiled dinners & hot accents, another thing that runs steadily in Boston is Guinness. Now I must admit, it’s not my first pic of beer but that doesn’t mean I wont attempt to cook with it. 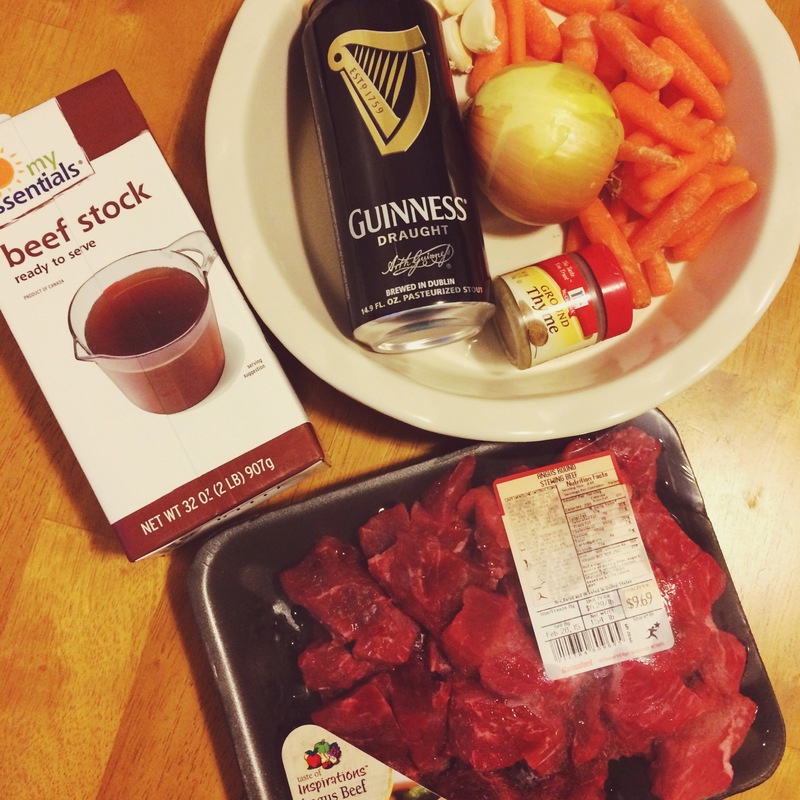 My first adventure in cooking with Guinness was with Irish Beef Stew! 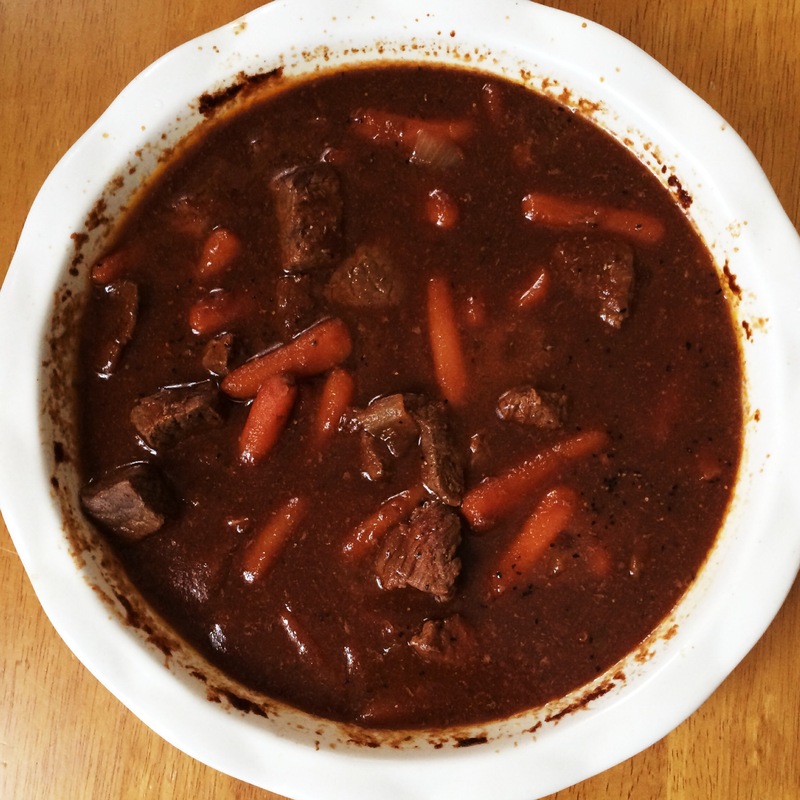 Brown beef in olive oil in oven friendly pot or deep pan. 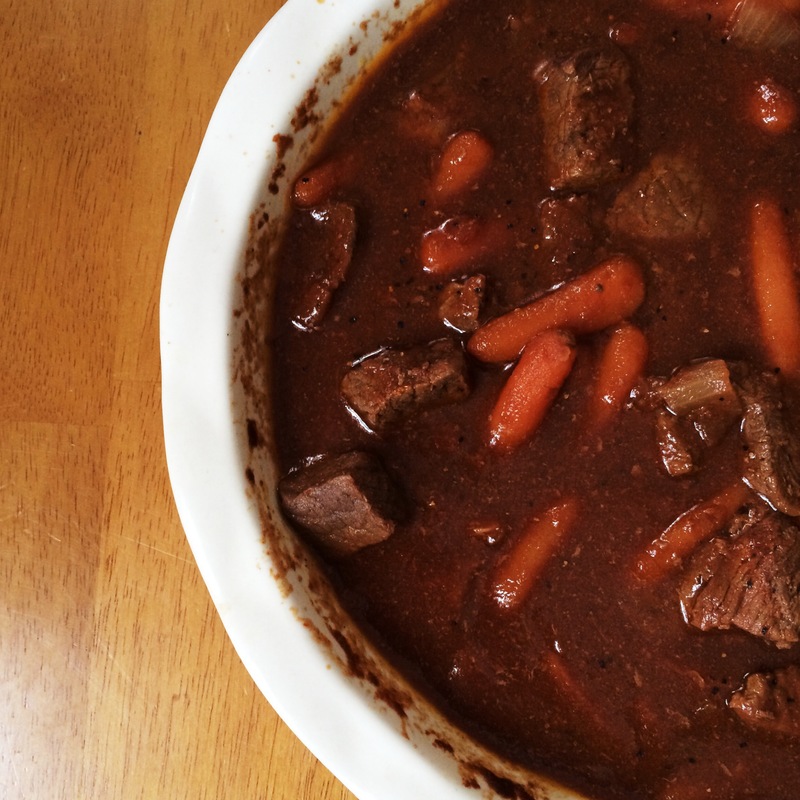 Once beef is browned on all sides, add garlic and sauté for a few minutes. Add Tomato paste, beef stock and beer, thyme and a tad more pepper. Beef will be covered in liquids. Let this come to a boil. In another pan, sauté onions and carrots together (for about 4 minutes) in olive oil and pepper. I did add a pinch of salt here. Transfer veggies into the beef pot. Place pot into oven and bake for 2 and a half to 3 hours. ‹ PreviousMy horoscope made me do it.